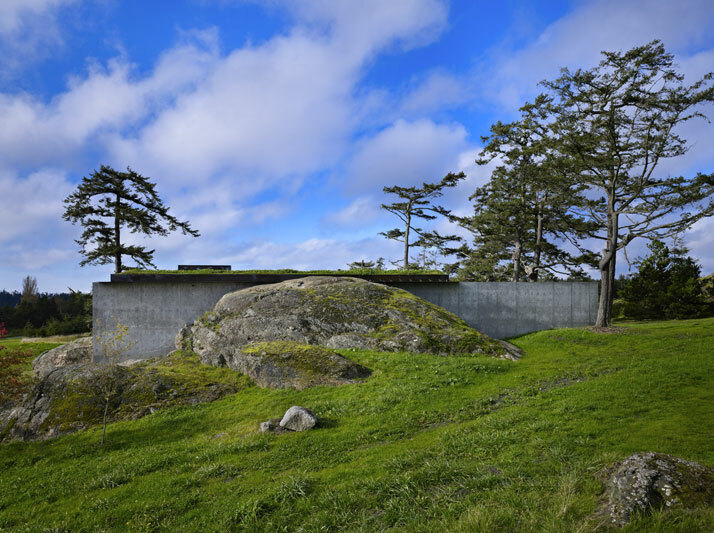 Perched on a rock face in the stunning San Juan Islands in the US, this project by Tom Kundig of Olson Kundig Architects is as mesmerising as its surrounding landscape, showcasing how thoughtful design can result in something that it is a much welcome addition to an already awe inspiring area. 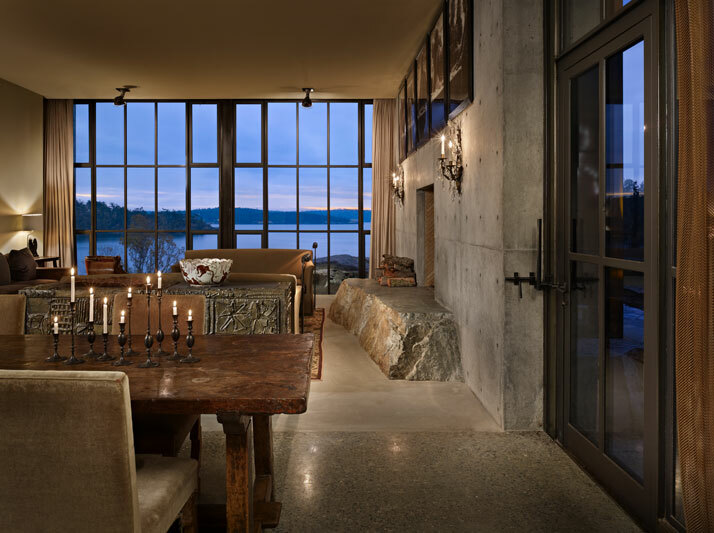 The Pierre by Olson Kundig Architects. Photo © Dwight Eschliman. 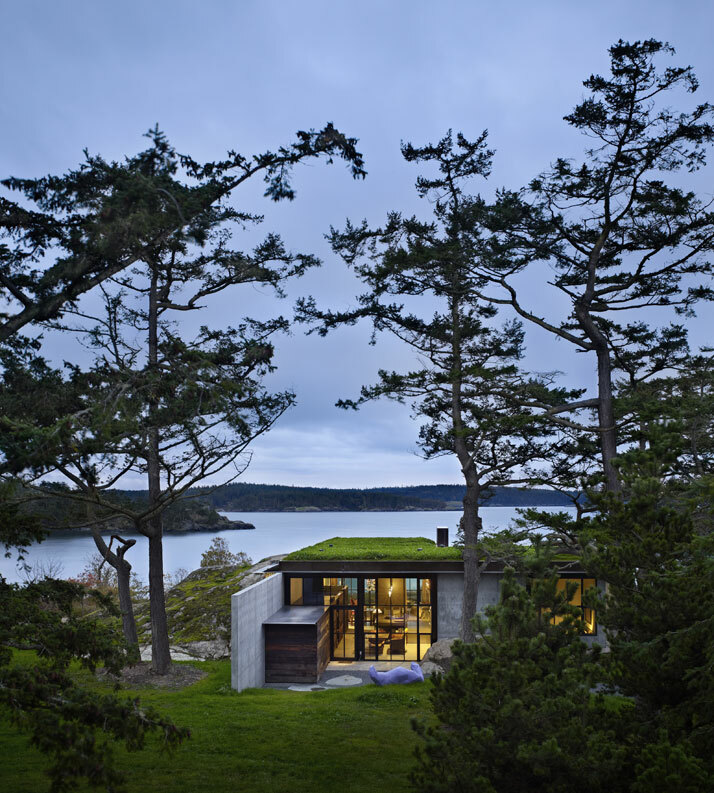 The Pierre by Olson Kundig Architects. Photo © Benjamin Benschneider/OTTO. In order to position the house into its surroundings, portions of the rock outcropping had to be carefully excavated using drills, hydraulic clippers and wire saws. 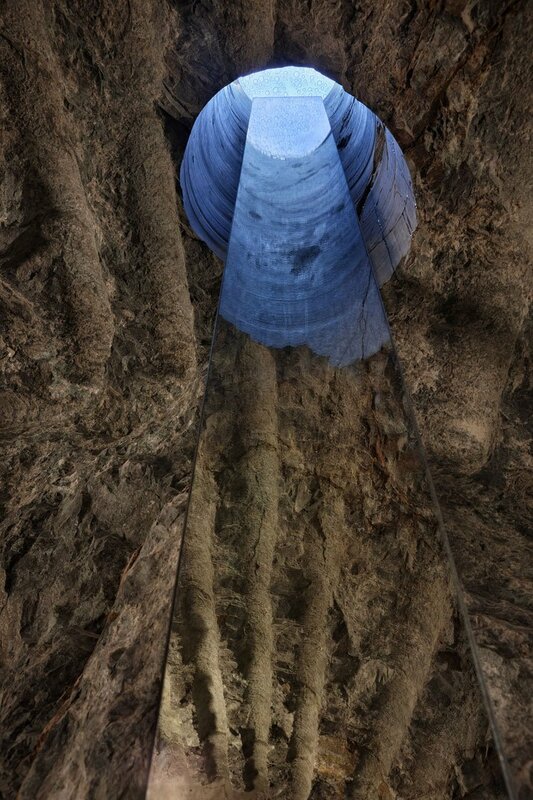 Rather than being discarded, the excavated rock was instead rather cleverly incorporated into the design and was used as crushed aggregate in the stonework (pieces of the rock were also employed in the carpet structure), further ensuring that this build was as closely organic a process as possible. The simple rough materials not only blend with the outside landscape but serve a function on the interior; to showcase an interior consisting of luxury furnishings, artwork and furniture. 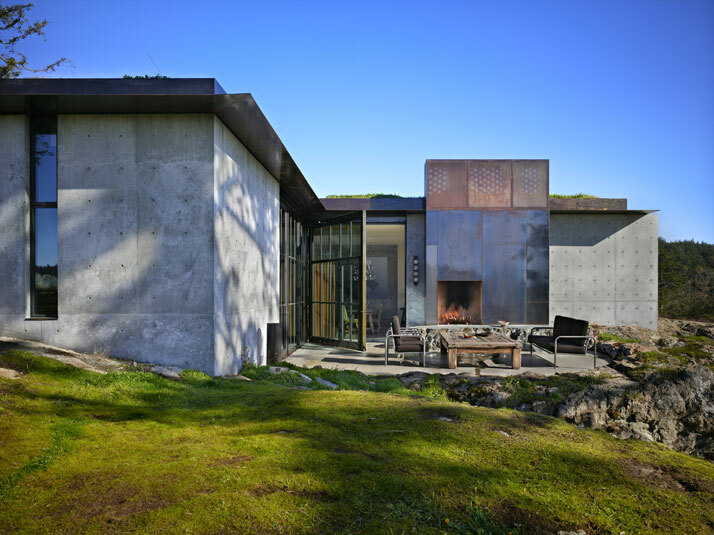 The Pierre by Olson Kundig Architects. Photo © Benjamin Benschneider/OTTO. A large pivoting steel and glass door opens for access to the outdoor terrace. 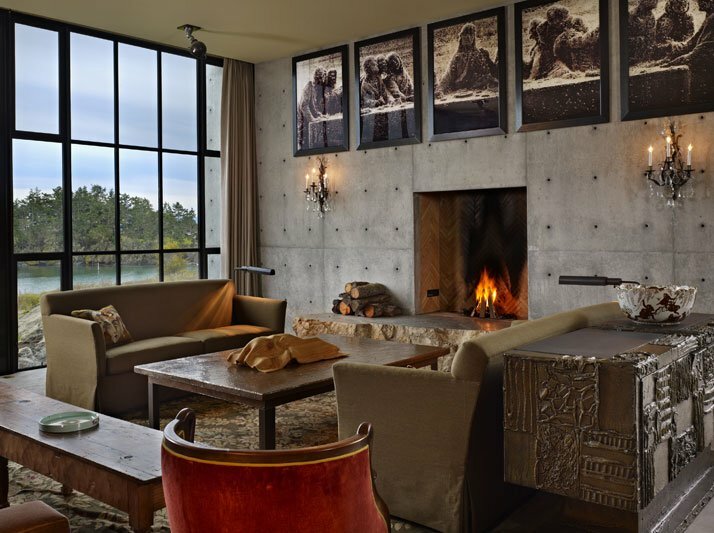 The Pierre by Olson Kundig Architects. Photo © Benjamin Benschneider/OTTO. 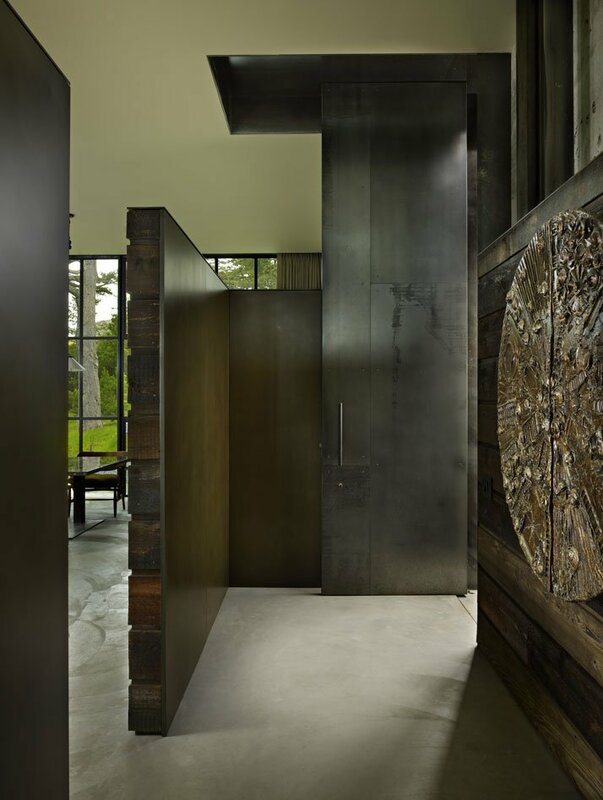 The interior design was done by Olson Kundig Architects, in collaboration with the client. The name of this incredible house - The Pierre - is the French word for stone and the owner's love for natural materials is both evident and abundant in this design. Tom's work is so sympathetic to the property’s surroundings, that from certain angles, the building blends in almost completely. 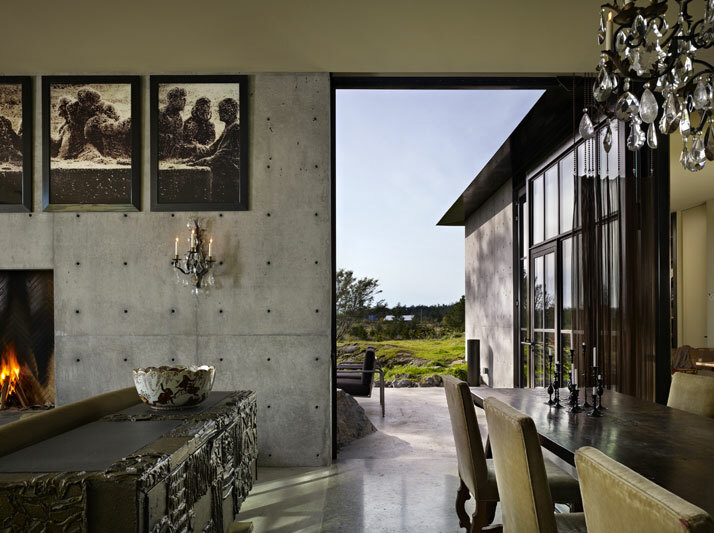 The materiality of this design - stemming from the use of materials such as mild steel, smooth concrete and drywall – just goes to show how manmade structures can interact with their surroundings and become a positive presence in the most scenic of settings. 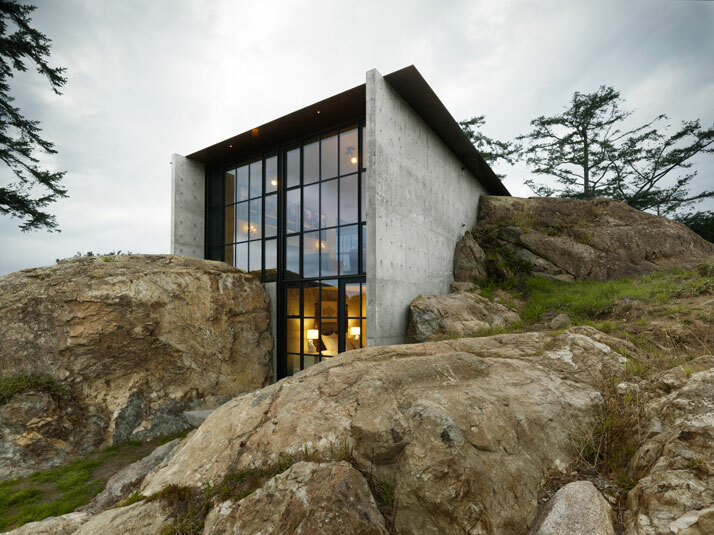 As the evening descends on the rugged landscape, soft light flowing from inside through the large windows enhances and camouflages the rock outside. Inside, as mentioned before, the rock continues throughout the house which functions on one floor (there’s also a separate guest suite). 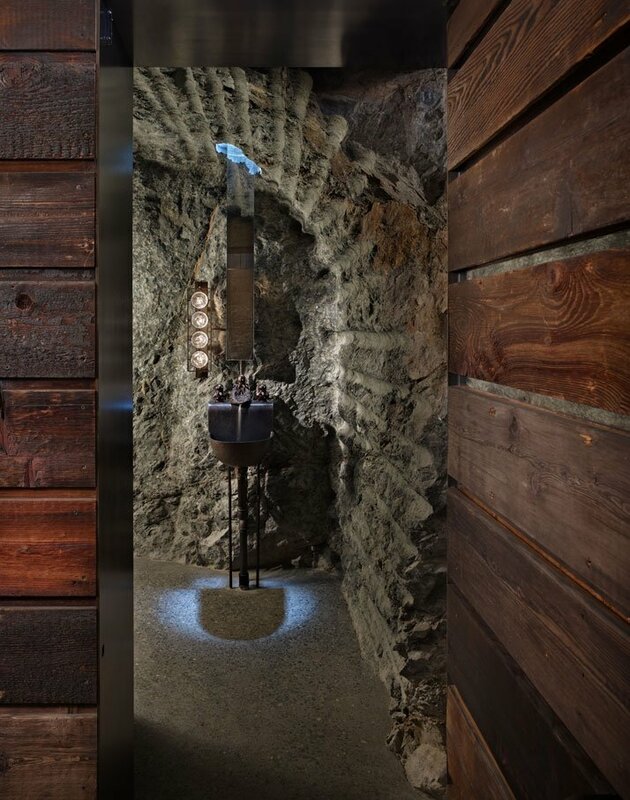 Fundamental to the design, the natural rock provides the basis for stunning features such as the powder room, which is carved out of rock and features large mirrors which bounce natural light around the space. 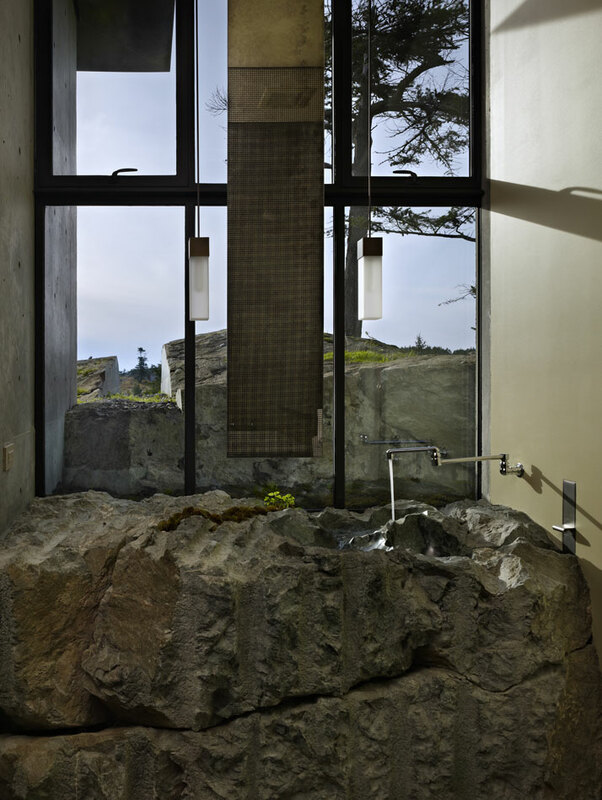 The bathroom features polished pools in which water (another natural element) can cascade. This is just one of many impressive features that also include a storage box at the entry (made from reclaimed wood), impressive floor to ceiling book shelves and a metal and glass door leading on to a terrace which has been smartly set at an angle; a nod to the lack of symmetry in the natural jagged rock around it and another ingenious way of creating something bold that also blends into its habitat. Subtlety and a compassion for contextual landscape can result in design that feels fresh, progressive and yet totally timeless. 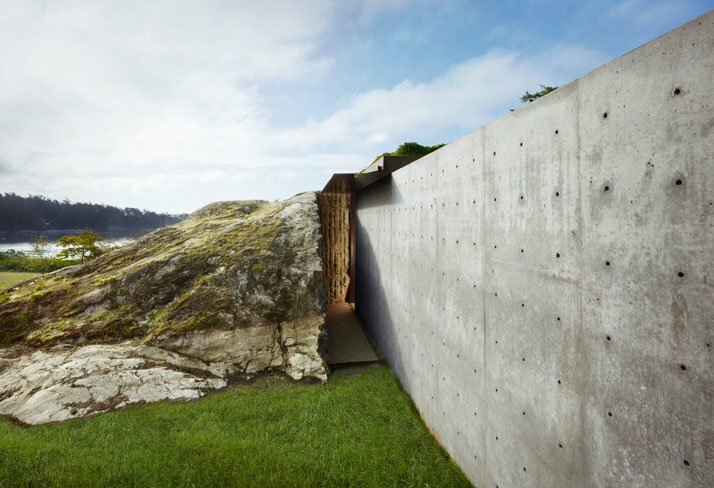 Olson Kundig Architects have created a special hideaway with lots of magical hidden surprises.